Find Affordable Self Storage Near You. No Detective Work Needed. 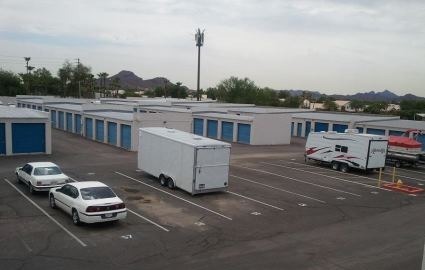 There's no mystery when it comes to finding a secure and affordable storage facility in the Valley of the Sun. 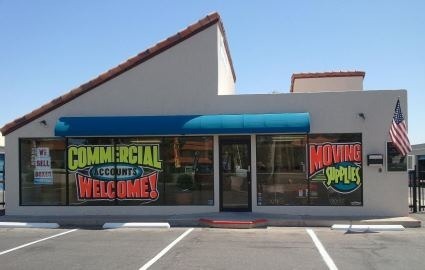 Sure-Lock Mini Storage operates the most experienced public self storage locations in town, having served the Phoenix, Arizona metro area since 1984. Stop by any day of the week from 7:00 a.m. until 5:30., and our friendly staff can help you with all of your self storage needs. If you're looking for extra space in Phoenix, AZ, visit Sure-Lock Mini Storage Location today. We have units for individuals, families and business alike; store commercial inventory or documents within one of our storage spaces, or park your RV or boat in our lots during the cooler months when they're not in use. Take advantage of our extended access hours, and retrieve your items at a time that's convenient for you. Give us a call, and let one of our friendly, experienced staff members help you with all of your mini storage needs. You can also stop by today for a tour of either one of our clean and spacious facilities. We can't wait to serve you! We'd love to see how we are doing!